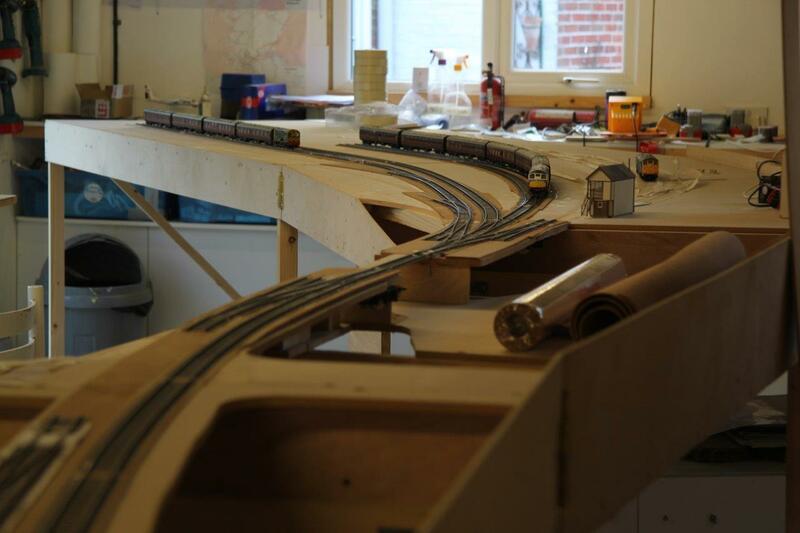 From time to time, we have dropped in to see progress on a layout being built by Peter Bond, called Aultbea. As we dropped in to see him yesterday, I have some update photographs. 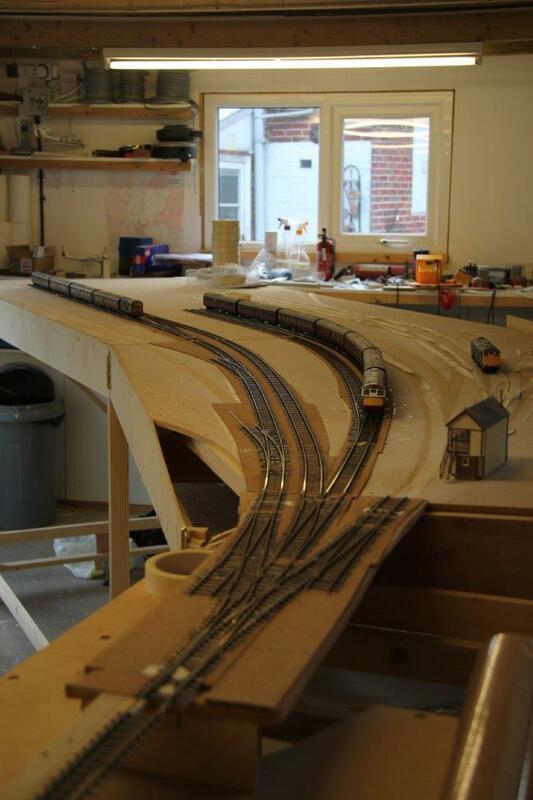 Most of the progress has been on the buildings including the centre piece which is the train shed and station building. As you can see, this is a pretty big structure as it consumes two full length coaches. The view inside the trainshed is particularly impressive; I think you can smell the diesel fumes and sea air! The builder in a characteristic pose, talking……………. Although the layout is based on one of the proposed schemes to open up the north west of Scotland (of which there were a number) it is also firmly inspired by Oban as you can probably see, plus chunks of Kyle of Lochalsh including the goods shed and a bit Fort William with the train engine coming beyond the station and idling on the station approach. I can’t claim any of the credit for this one, it is the work of one of my friends and stalwart operators of Portchullin, Peter Bond. His latest layout (in EM) is based on the line that was proposed from Achnasheen to Gairloch and Aultbea. This was a real proposal in the late 19th century but the scheme came to nothing. Peter has imagined that not only was it built but it thrived; to a large degree due to the naval connection where the navy did use Gairloch as a significant port. He has also presumed that Aultbea became the port for the Hebrides and thus the Kyle line faded away (a point I don’t like!). You can see in this view the rather nice model of the signal cabin for Aultbea, based on that at Kyle. The description of the building of this was in BRM in September and October 2012 and is worth a read. 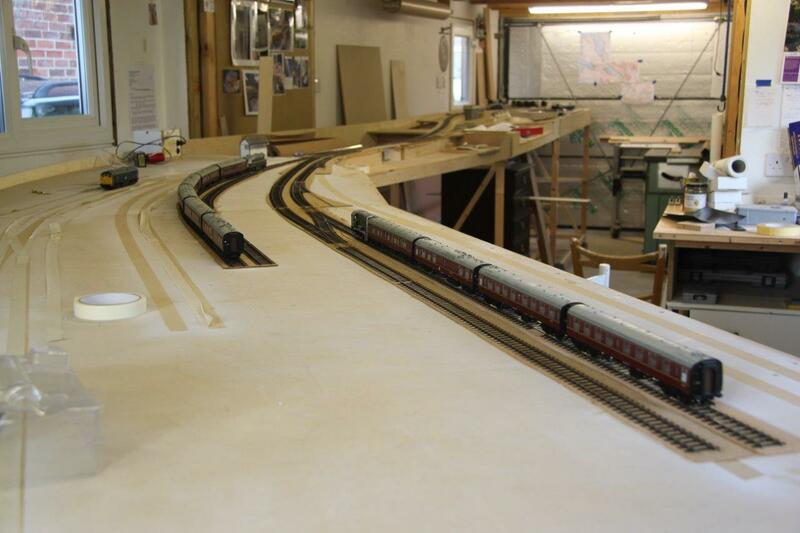 The layout is pretty big; some 30 feet long and relatively deep at the station end. Peter envisaged that with the rise in traffic during the first war, the station had to be enlarged – much like Oban was when the Ballachulish line was built. Indeed, Peter is taking a lot of his inspiration from Oban, including portions of the trackplan, the overall roof and the engine shed being a little detached from the rest of the station. As you can see, it will be set in the late 1960’s so a little earlier than Portchullin. 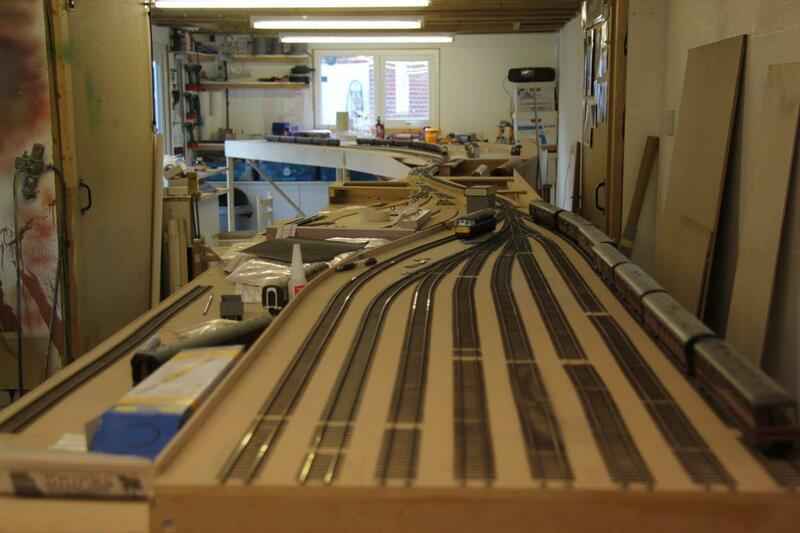 Now Peter is an inveterate starter of layouts, so by posting these progress pictures, I am hoping to prod him along to finishing this one.